David Beyer is widely and regularly recognized as one of the country’s leading franchise and distribution lawyers for many reasons. There are few attorneys in the field with his depth and breadth of experience in franchise law. For national and international, household-name businesses, David organizes and structures franchise and other distribution programs; negotiates and prepares complex franchise, sub-franchise, and distribution agreements; represents franchisors and subfranchisors in compliance with franchise disclosure and registration laws; evaluates and negotiates supply relationships; counsels on the impact of antitrust and trade regulation laws; handles international franchising and distribution matters; prevents and resolves franchise disputes; assists in franchise and dealership terminations; facilitates joint ventures, mergers, acquisitions, and capital raising for franchise and growth companies; structures dealership and licensing programs; and works on countless other related corporate and business matters. David frequently advises clients on other sales and distribution methods, with a special emphasis on avoiding burdensome franchise sales laws, including licensing, multilevel distribution, direct selling, sales representatives, joint ventures, dealerships, and business opportunities. He actively represents franchisors on technology-related issues, including website development, e-commerce, cybersquatting, and channel conflict. He regularly counsels clients in numerous industries, including hospitality (hotels, restaurants, and travel), health care, automotive, publications, real estate and business brokerage, education and childcare facilities, and retail merchandising, among others. Having begun his career as a corporate and securities lawyer handling securities offerings, mergers, and joint ventures, David frequently leverages that experience in similar transactions involving franchise and other companies. In short, there is exceedingly little that David hasn’t done in the area of franchise law. Because of his wide-ranging knowledge, David is a leader in the development of franchise law in Florida. 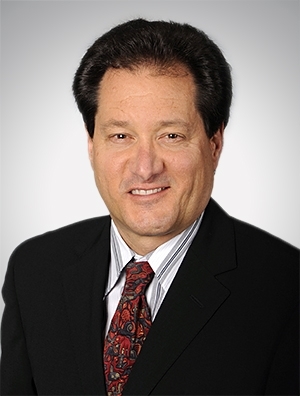 He has served multiple terms as chairman of the Franchise Law Committee of the Florida Bar. In that role, he has led successful efforts both to improve franchise laws in Florida and to defeat destructive proposed legislation. He is one of just a handful of franchise lawyers honored by his peers to present at the keynote plenary sessions on both the Annual Developments in Franchise Law at the ABA Franchise Forum and the Judicial Update at the IFA Legal Symposium. Whatever the audience or need, he is a problem solver, clearly well equipped to help franchise clients achieve their goals and grow their businesses.